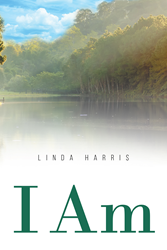 Recent release “I Am” from Page Publishing author Linda Harris used positive declarations to deter depression by thinking, doing, living, and speaking positively. Linda Harris, a retired radiologic technologist, has completed her new book “I Am”: a powerful and enlightening look at the need to control depression and stop it before it stops life. Published by New York City-based Page Publishing, Linda Harris’s uplifting and informative writing shares that the removal of negativity in one's life decreases depression. After a surgery that lead to her disability, Linda learned to believe that life is possible without medication and self-pity. This book was born of the author’s need to take control of her depression and to better her life. With an immense amount of hard work and perseverance, she considers her change to be the single greatest achievement in her life. And it was all worth it. Readers who wish to experience this enriching work can purchase “I Am” at bookstores everywhere, or online at the Apple iTunes store, Amazon, Google Play or Barnes and Noble.